Renovation work carried out to a £3 million flat in West London has caused costly damage to a neighbouring property. The Party Wall Act is a piece of legislation that is designed as a simple framework for neighbours that should prevent disputes from occurring and provide a swift resolution in the event that they do. Of course, one thing the Act can’t do is walk someone to an ATM to make them pay up. 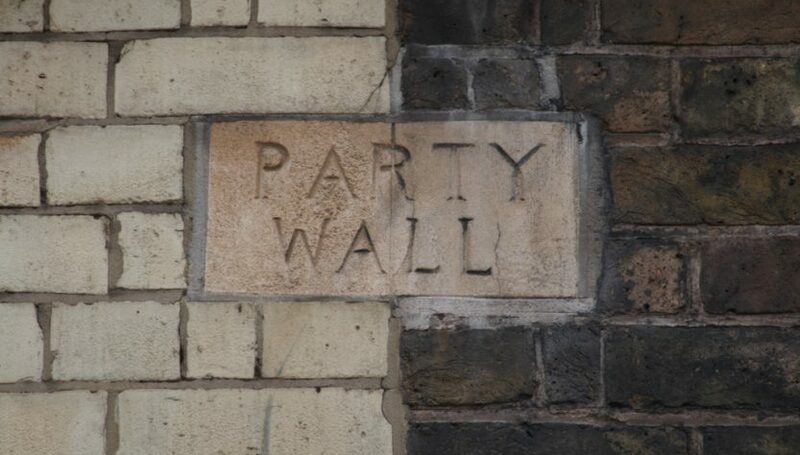 As recent events at Westminster Magistrates Court demonstrate, however, getting party wall advice before you undertake any work is nevertheless crucial, as in the event that things do go wrong, the court is only ever likely to confirm and enforce the findings of the surveyor. The dispute centres around some basement renovations carried out at a property in one of London’s most exclusive and expensive postcodes. Olivia Walton is a 28 year-old interior designer and the daughter of a wealthy property developer. Her luxury maisonette is worth in excess of £3 million and commands a monthly rent of around £8,000. In 2015, she decided to extend the property in the only way that is possible in this part of London – by adding one of the super basements that are becoming so popular among the capital’s wealthiest property owners. Unfortunately, the work resulted in significant damage to the upstairs apartment, owned by 57 year old Michelle Nabb. Mrs Nabb reported damage to the walls and floors of her apartment, and said that this, in combination with the noise, dust and pollution, had rendered the property uninhabitable. Both properties are let out to tenants. Miss Watson’s is currently being rented by a well-known TV actress, and commands rent of £8,000 per month, while up until the incident, Mrs Nabb’s was rented for approximately £4,000 per month. When the damage occurred in 2015, Mrs Nabb filed a claim under the Party Wall Act for the losses she had suffered, both in terms of damage to the property and loss of rental income. The surveyor assessed the cost of damage to amount to £52,400, and awarded Mrs Nabb a total of £113,860. Ordinarily, that would be the end of it, but Miss Walton said that she was unable to pay, and that she had few assets. Through her solicitor, she offered to pay off the amount at a rate of £1,500 per month. This would mean taking more than six years to pay off the total amount, and Mrs Nabb instead sought a court ruling to force Miss Walton to pay up. What did the magistrate say? Mike Snow, a district judge at Westminster Magistrates Court dealt swiftly with the matter. He commented that he was not empowered to adjudicate on the rights or wrongs of the surveyor’s findings, but only on the question of whether the sum under discussion can be recovered as a civil debt. He ruled that it can, and also added an additional £6,000 in court costs. This means that Miss Watson now has 14 days in which to pay the claim, failing which the matter will pass to county court enforcement officers.